Most employees spend much of their lives working. Assuming a full-time worker sleeps for eight hours each night and has a 40-hour working week, this means people spend half of their waking day at work. For most, the lunch break represents an opportunity in the middle of the day to pause, eat and relax. Many UK offices provide a workplace canteen, and being on the premises it’s usually the quickest and most convenient place to go for lunch. Preoday, a digital ordering platform, collaborated with Yoyo, a specialist in mobile payment, on a study to explore the relationship between workers and their office canteen. The aim was to understand how UK workers engage with their cafeterias and assess the ways the customer experience can be improved. The first finding was that at present UK workers do not have healthy lunchtime habits. In the first place, most office workers do not take their full lunch break. While eight out of 10 (82 per cent) of UK workers with a canteen said they are allowed to take between 30 minutes and an hour for lunch, seven out of 10 (73 per cent) actually take half an hour or less. In several cases, people admitted to taking very short lunch breaks – more than one in three (37 per cent) said they tend to grab something and head back to their desks, or, at most, take a short 15-minute break. Indeed, 34 per cent admitted to skipping lunch altogether two or more days a week. One might think that the presence of a workplace restaurant would be helpful to time-pressured employees. However, the survey found that workers do not regularly take advantage; the average UK employee visits their office cafeteria just six times a month, and more than half (53 per cent) use it less than once a week. Asked what is most important on their break, a third of respondents (32 per cent) said cheap prices and good value for money were critical when buying lunch. But 28 per cent didn’t believe they were getting enough value for money – nor are they being rewarded in any way for their regular custom. Over a quarter (27 per cent) named speed as a crucial factor when considering their lunch options, while nearly a quarter (24 per cent) cited queuing times. One in eight (11 per cent) of workers who use their cafeteria said they often spend over 10 minutes queuing for their food, which means a worker who takes the average 30 minutes for lunch could spend a third of their time standing in a queue. Unsurprisingly, the taste of the food was the most important consideration for what people eat at lunchtime and where they buy it. Forty-two per cent said it was one of their two most important criteria. 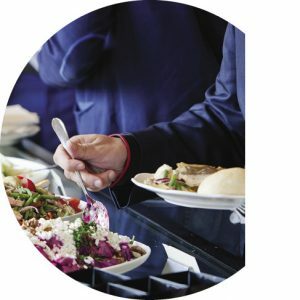 Most seemed content with the quality of the food in their canteens – only 16 per cent disapproved of the food on offer, and just nine per cent said it didn’t meet their dietary requirements. So if it’s not the food, what puts people off? The answer seems to be a number of things. Sixteen per cent said that not knowing the menu in advance dissuaded them from going to the workplace restaurant – something that could easily be rectified through better communication with customers. Value and convenience are also important factors. Two-fifths of the UK respondents (40 per cent) said they would visit their workplace restaurant more often if the service were quicker or they could pre-order their food and pick it up without queuing at all. By the same token, loyalty schemes and more personalised experiences would have a positive effect – more than half (57 per cent) said they would visit more often if there were a loyalty scheme that offered personalised deals. Half (50 per cent) of UK employees said their canteen already offers some kind of tech-led benefits system, such as a loyalty scheme, pre-ordering, pre-pay or special offers. This rose to 56 per cent among those who use their cafeteria regularly, but plummeted to 25 per cent among those who don’t. It seems that many workplaces are embracing technology to positively engage with customers, but there are plenty who are missing a trick. The most common innovation at workplace restaurants is the introduction of special offers, with one in five (21 per cent) saying their office canteen makes use of them. The least offered service was prepayment technology, with only 12 per cent saying their cafeteria provided this option. This could be regarded as a missed opportunity to increase footfall among the 24 per cent of people put off by queues. 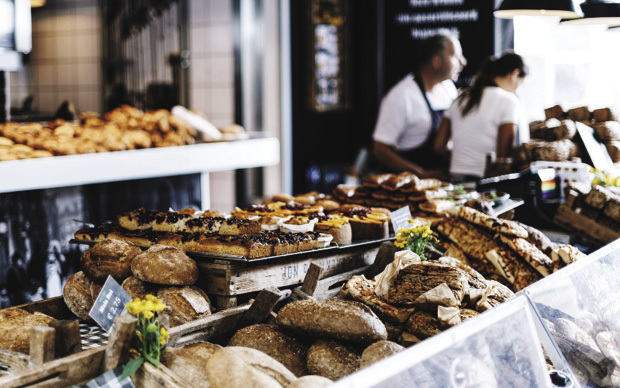 Equally, loyalty or reward schemes are lacking – only 15 per cent of canteens reward workers for their custom, in spite of the fact that 57 per cent of people say they would visit more often if their canteen had such a scheme. Ultimately, employers have a good opportunity to improve the take-up of workplace catering. Many of the negatives that discourage visits can be resolved by paying attention to what staff actually want, and the innovative solutions that already exist. The post Welcome break appeared first on FMJ.